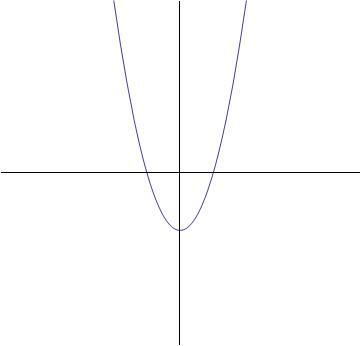 Which of the following is the graph of the equation ? 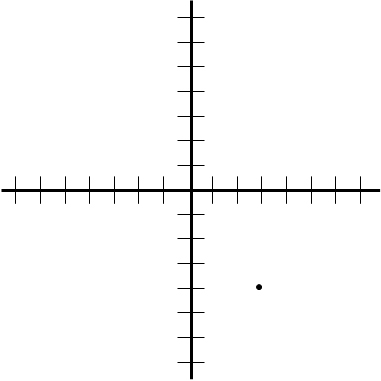 On the coordinate plane, the graph of an equation of the form is a vertical line with its -intercept at . 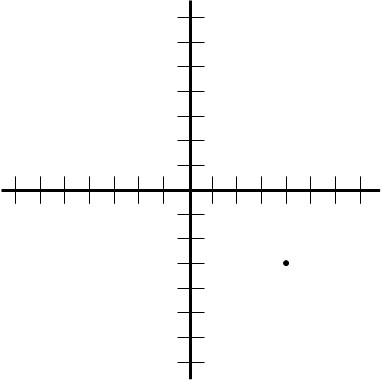 Therefore, the graph of is vertical with -intercept . Since the intercepts are shown on each graph, we find the intercepts of and compare them. The graph goes through . Since none of the graphs shown go through the origin, none of the graphs are correct. 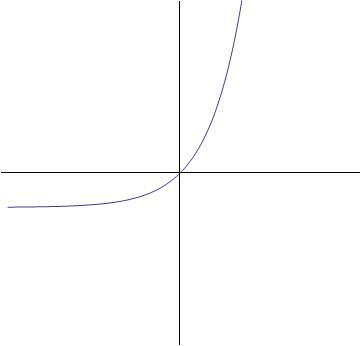 Which of the following graphs best represents the following function? 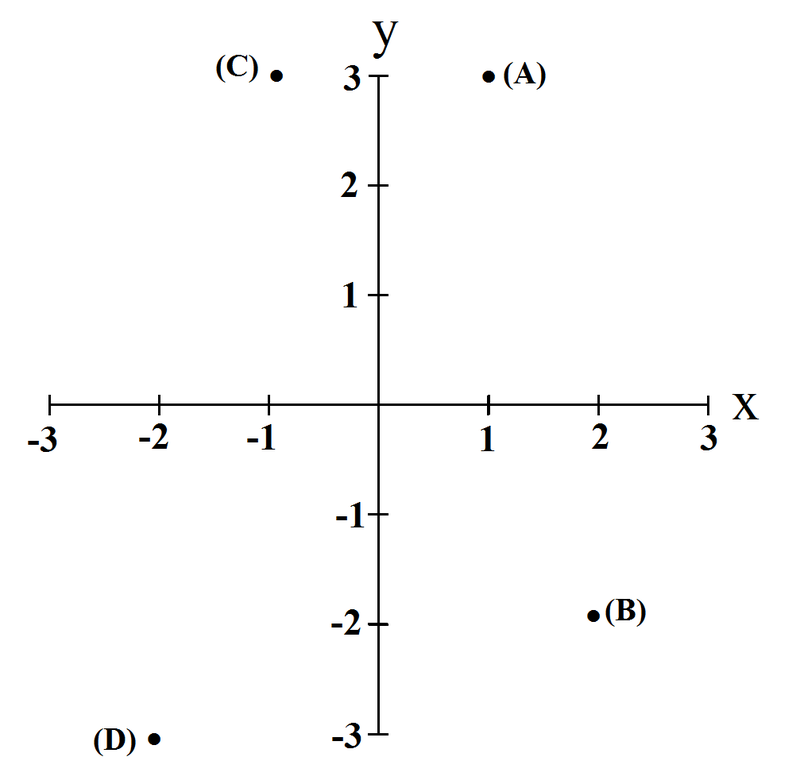 This equation describes a straight line with a slope of and a y-intercept of . We know this by comparing the given equation to the formula for a line in slope-intercept form. 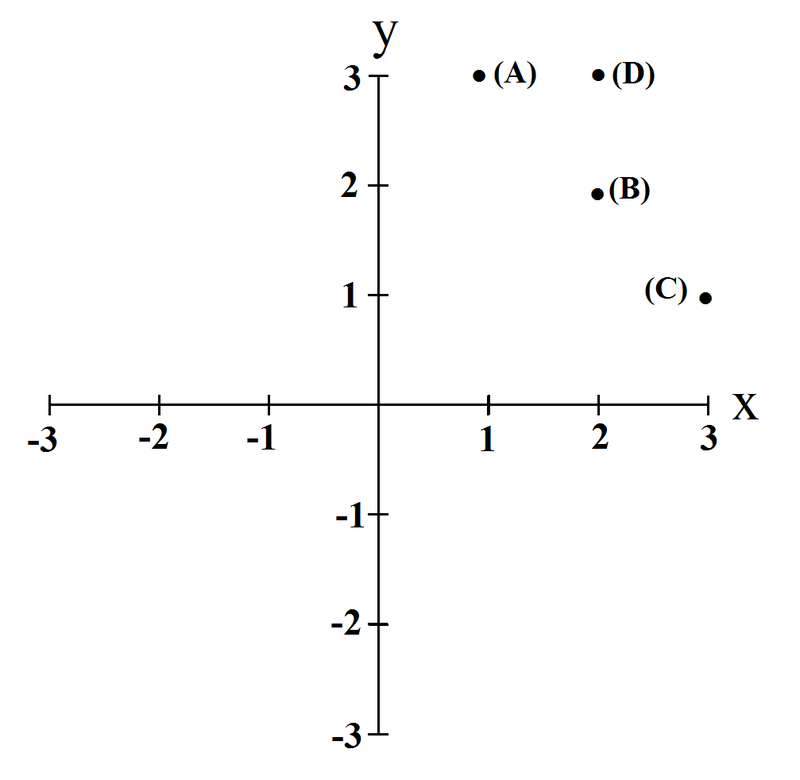 The graph below is the answer, as it depicts a straight line with a positive slope and a negative y-intercept. 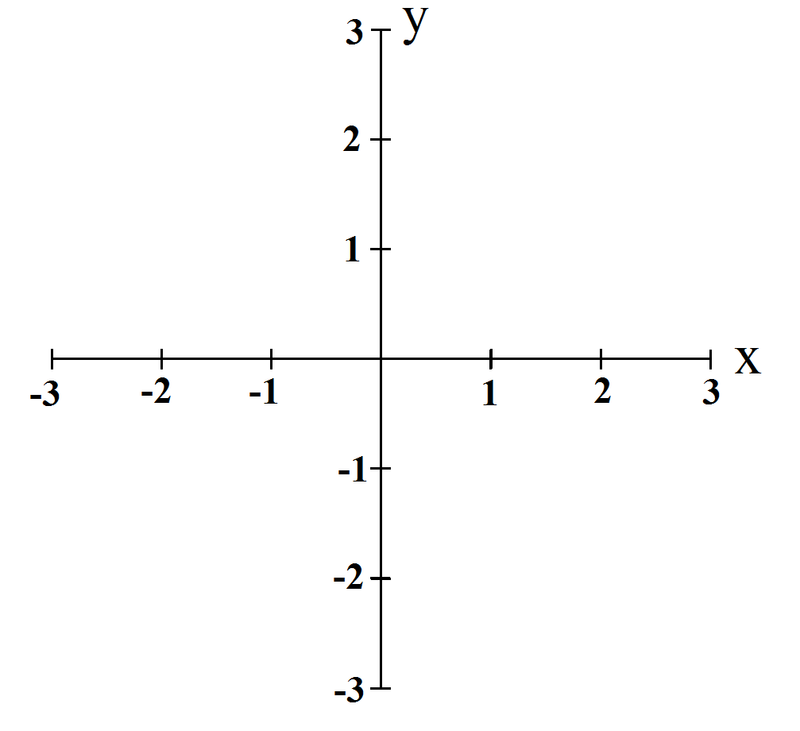 Remember, this is in form, where the slope is represented by . Therefore, the slope is negative. 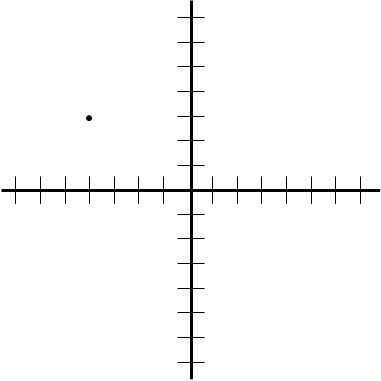 The y-intercept is represented by , which is in this case. 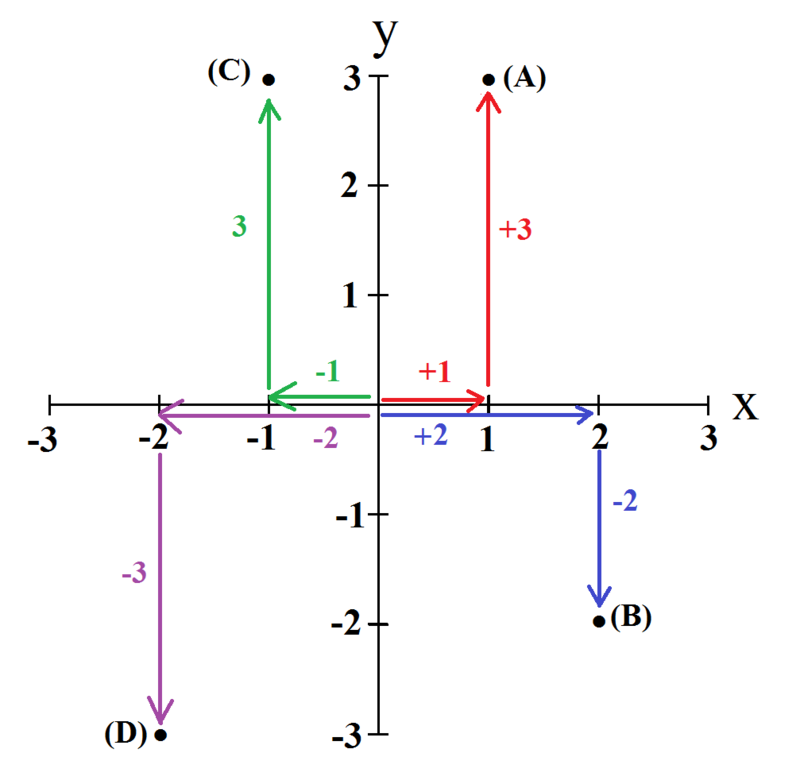 So, the line has a negative slope and crosses the -axis at . Since the intercepts are shown on each graph, we need to find the intercepts of . Therefore the -intercept is . Thus the -intercept is . The correct choice is the line that passes through these two points. 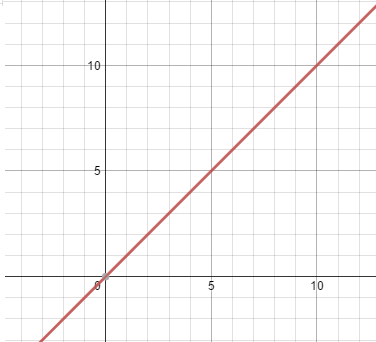 Which equation matches the graph of the line shown? 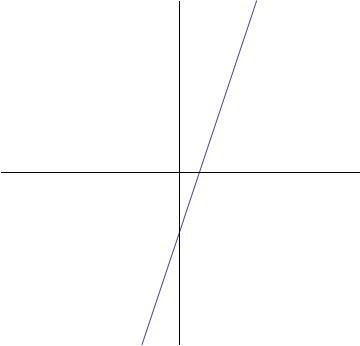 An equation of a line is made of two parts: a slope and a y-intercept. 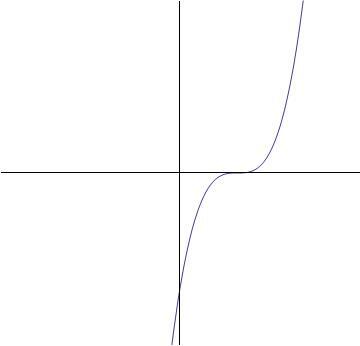 The y-intercept is where the function crosses the y-axis which in this problem it is 0. The slope is determined by the rise of the function over the run which is , so the function is moving up one and over one. Which image depicts the point ? The first number, indicates how far the point is positioned to the left or right of the origin. Because the number is negative, the point is three units to the LEFT of the origin. The second number indicates how far the point is postioned up or down from the origin. Because the number is positive, the point is located four units above the origin. The length of line segment is 12 units. 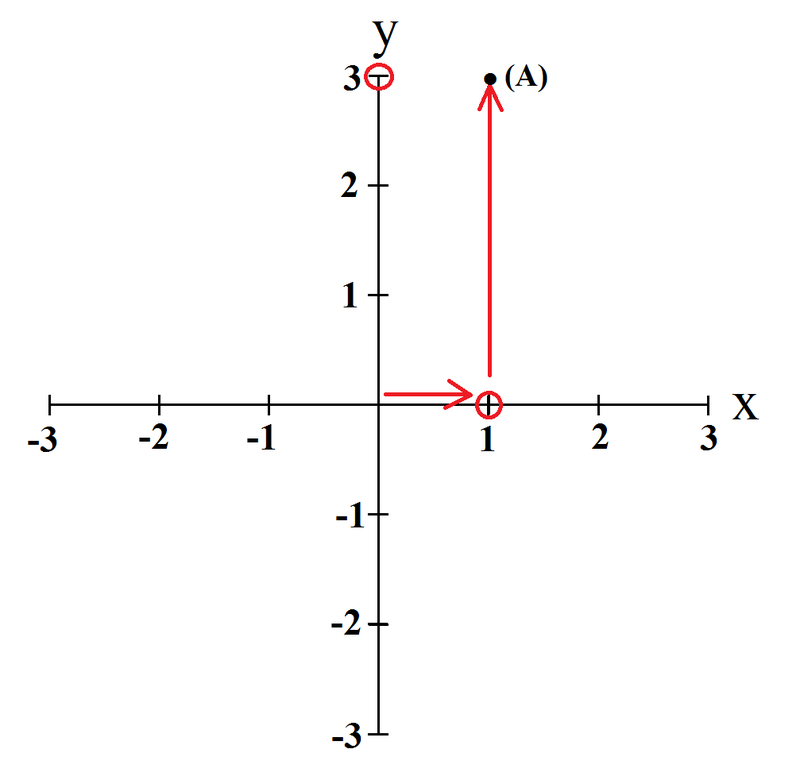 If point A is located at , what is a possible location for point B? and plug in the information given in the question. At this point we can simply plug in the possible values to determine which combination of coordinates will make the equation above true. 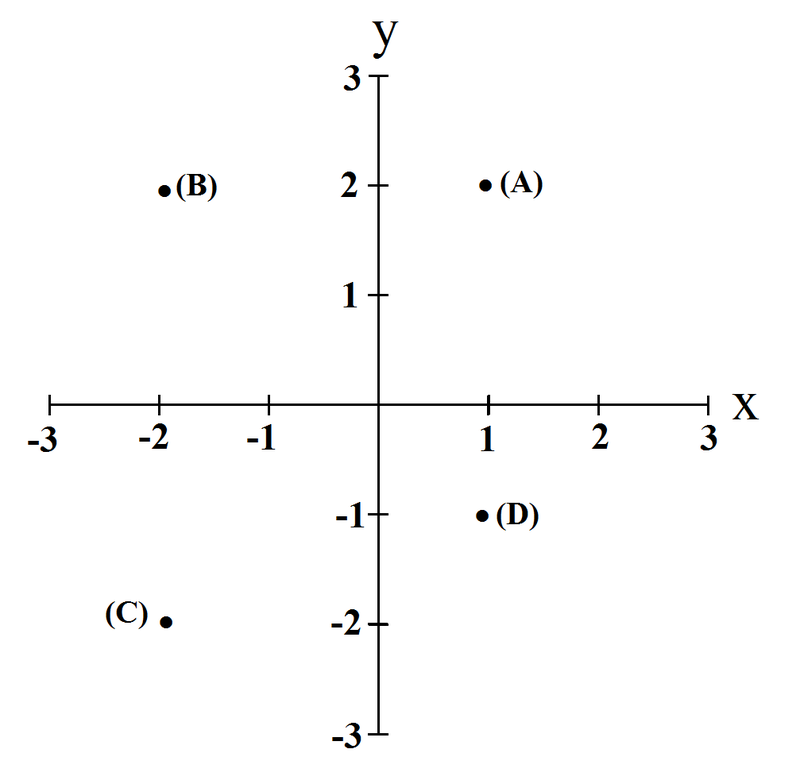 Graph the following 4 points. 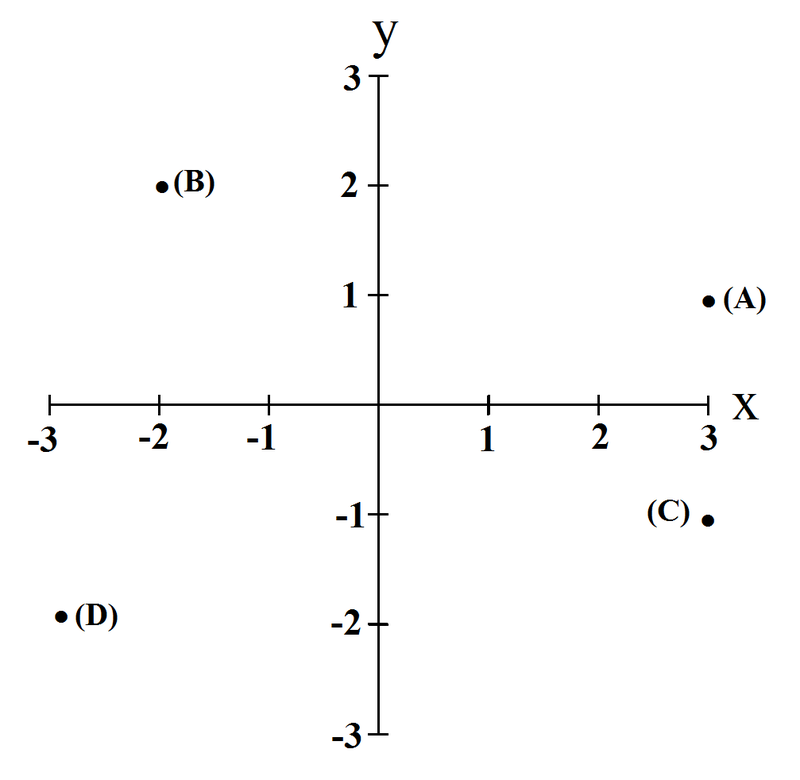 They will be displayed as (x,y) pairs. 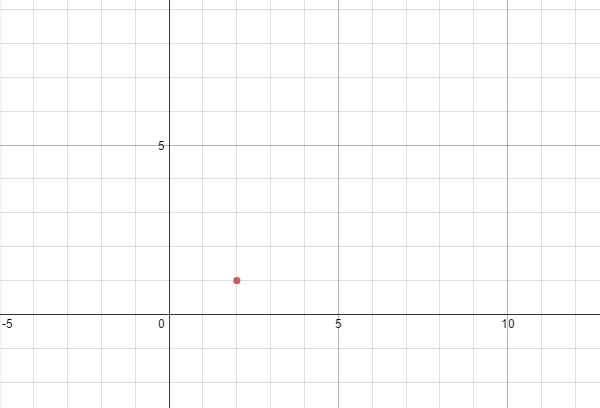 What are the coordinates of the point on the given graph? 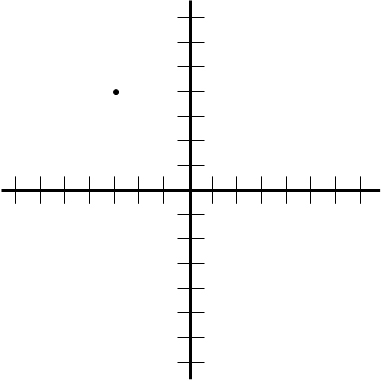 When trying to determine coordinates of a point you need to look at the value of x first (how many units left or right the point is, then the y-value (how many up or down it is). When you look at this point you see that it is moved right 2 units and up 1. Swarthmore College, Bachelor in Arts, Philosophy.